Preferred Landscape is a full service landscaping with many years experience in creating stunning residential and commercial outdoor living spaces and fireplaces. We have been providing top quality services to our clients throughout the greater Louisville, Kentucky region with great success. 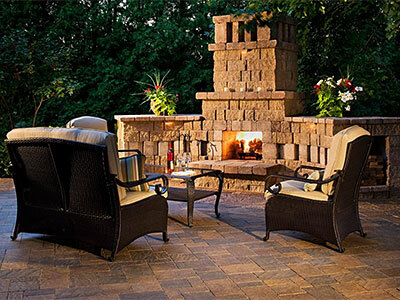 Our team of landscape designers and landscape contractors will custom design and install you an outdoor living and fireplace of your dreams; one that you will get many years of enjoyment out of. You will find yourself wanting to spend a lot more time outdoors simply sitting in your new patio relaxing or perhaps having some great conversations sitting by your new outdoor fireplace. By adding an outdoor living or fireplace you will be getting much more use out of your landscapes and hence get much more out of your property. Outdoor living spaces are a great investment for your personal and social life as well as for the future value of your home or commercial property. 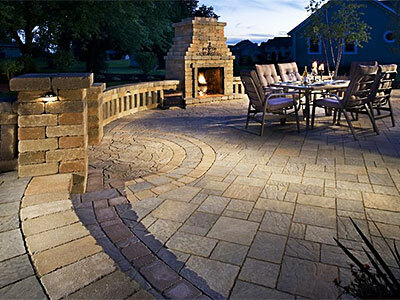 The team at Preferred Landscape will transform the look and function of your outdoor living areas with an addition that will change the way you use your outdoor space. We will in fact be increasing the amount if living space you have into the outdoors. Our teams of designers have worked on a large range of properties so they have the knowledge and the experience to work with any sized space you may have. They will plan an outdoor living or fireplace that is ideal for the size and space you have available as well as for your individual and social needs. So, not only will you be adding functional spaces to your landscapes but you are also adding 'living' space to your home on a whole. Gone are the days where you had to entertain inside and get the whole house messy. Nowadays, you can do all of your entertaining outdoors eve it is a cooler night when you have a beautiful fireplace. This is why you cannot lose out when you spend a little money on expanding your outdoor living areas. No job is too small or too large for the team at Advanced Patio and Landscape. Our expert staff will guide you through the whole project from the planning and designing to the installation and maintenance phase. Whatever type of landscaping products you want to use we have the contractor to get the job done right and efficiently with the use of the latest techniques and equipment. Preferred Landscape will ensure that your outdoor living space or fireplace installation will not only be aesthetically pleasing but it will also be durable and stand the test of time. There is always a friendly staff member on hand to answer all of your outdoor living queries. So why not leave it to the professionals and watch your outdoor space being transformed into the perfect place for you to enjoy the outdoors no matter what the season may be. Why should you have to sit indoors all winter when you can have a fireplace to warm you up on those cold nights? Let us help you get the most of your outdoor spaces; all you have to do is sit back and watch us create the outdoor living space of your dreams. We pride ourselves on giving our clients the best customer service they can find in the industry!